Over the last decade, emerging fungal diseases have become a serious concern for wildlife internationally. Chytrid fungus has caused population crashes in many frog species in Central America. White-nose syndrome has left millions of bats dead and some species endangered. Salamander Chytrid nearly wiped out salamander species when if arrived in Europe. Snake Fungal Disease has recently appeared in North American snakes. Across the globe, fungal infections have been responsible for more die-offs and extinctions of wild animals than any other type of disease. Why are fungal diseases so serious a threat? First of all, fungi reproduce easily, they don’t need their host to survive (like viruses) and can remain dormant for long periods. And because they are so persistent, they make good travelers. With today’s global trade and travel, fungi have increased opportunity for long-distance dispersal. For example, it is thought that Salamander Chytrid was introduced to Europe from Asia through the pet trade. Recently white-nose syndrome jumped from the Midwest to Washington State, although how it did remains unclear. When a new fungal pathogens arrives in a wildlife population that may already be stressed by habitat loss, displacement or climate change, the impacts may be devastating. Many of these fungal diseases are now present in Canada, while others threaten to spread to our wildlife in the near future. 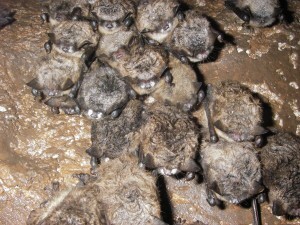 In 2010, the Ontario Region of the CWHC, in collaboration with the Ontario Ministry of Natural Resources and Forestry (OMNRF), diagnosed the first positive case of White-nose Syndrome (WNS) in bats in Canada. WNS is caused by Pseudogymnoascus destructans, a fungus that affects several hibernating bat species during the winter months by disrupting the bat’s sleeping patterns during hibernation, causing them to use up their fat stores prematurely before they can be replenished in the Spring. In Canada, the disease has been diagnosed from Northern Ontario all the way across eastern Canada, excluding Newfoundland. The CWHC is responsible for coordinating monitoring for white-nose syndrome and developing decontamination and control measures. Read more about White-nose Syndrome here. Chytridiomycosis has been present in North America for some time, but its distribution in Canada is poorly understood. This disease, caused by the fungus Batrachochytrium dendrobatidis, affects many frog species in Canada. A survey in BC found the fungus was present in all regions and all frog and toad species in the province. The CWHC carries out opportunistic testing of frogs and there are ongoing efforts to detect and characterize the fungus. 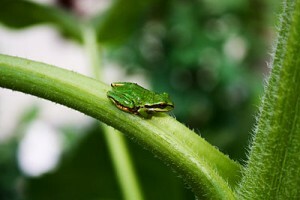 Read more about Chytridiomycosis here. 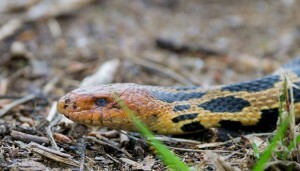 Snake Fungal Disease (SFD) is the latest emerging disease in Canada. Caused by Ophidiomyces ophiodiicola, this fungal disease has caused declines in several snake populations across the eastern U.S. and has recently been diagnosed in Ontario snakes. The effects of SFD are not yet fully understood, but the CWHC is collaborating with various government agencies to monitor snake populations and the presence of the fungus. 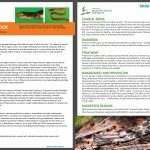 Read more about Snake Fungal Disease on our *NEW* factsheet here. There is a growing concern about the spread of a new fungus that could put North American salamanders at risk. Batrachochytrium salamandrivorans has not yet been identified in Canada, but has been found in Europe and Asia. 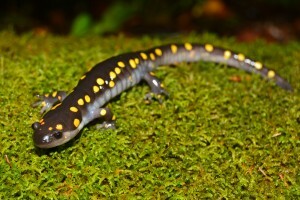 There is potential for the fungus to cross the border through the pet trade of salamanders, which could easily find its way into wild populations. In January 2016, the US Fish and Wildlife Service listed 201 species of salamander as injurious wildlife due to the risk of chytrid fungus and banned their import to keep native populations healthy. In Canada, the CWHC has been collaborating with the federal and provincial partners to raise awareness of the risk and monitor local populations for potential spread. Read more about B. salamandrivorans here. To keep up to date on wildlife fungal diseases in Canada, follow us on Facebook or Twitter or Sign up for our email list. What’s Causing Deadly Outbreaks of Fungal Diseases in World’s Wildlife? Amphibians, bats and reptiles, oh my! Five fungal diseases that are wreaking havoc on wildlife biodiversity.